What do you think makes a quality blog? I think that what makes a quality blog is, first of all, passion. It’s noticeable when bloggers don’t have passion for what they do, and that impoverishes the blog itself. Then come the topics that are dealt with on the blog. I think blogs should vary their themes, i.e. there shouldn’t be just reviews, or just memes, but there should be a mix of all of them. That way readers don’t get bored, and they can expect something new every day. What do you think? What is a quality blog for you? 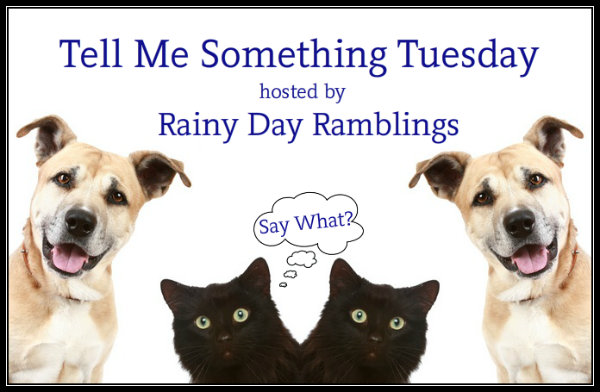 This entry was posted in Bookish Stuff, bookish temptations, Books, Tell Me Something Tuesday and tagged Blogs, bookish temptations, Quality, Tell Me Something Tuesday. I love a bit of humour, honest book reviews, camaraderie. I am really not bothered for give aways? I want to keep up to date with new releases and sales. I love to meet (virtually) with like minded readers who usually follow the same blogs.